I recently highlighted a very damaged Vern Law card in my Heartbreaking Damage series and as typically happens when I write about a card, I start seeing that player's cards everywhere. 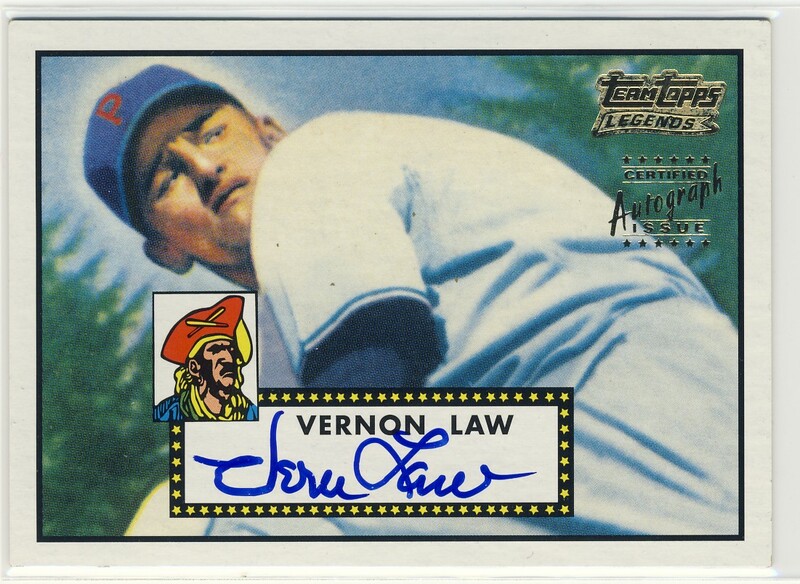 On my next trip to Jeff's Sports Cards there was this Vern Law autographed version of his reprinted 1952 Topps card. 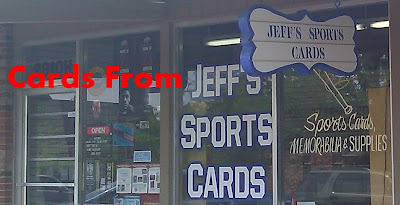 This was a part of the 2002 Topps Legends set and cost me $5.